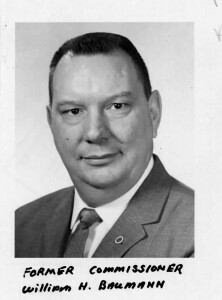 William H. Baumann was selected to become Commissioner on July 1, 1951. Commissioner Baumann, only thirty-one years old at the time, became the youngest State Police Commissioner in the nation. Commissioner Baumann served from 1951 until 1965. He briefly returned to serve as Commissioner of Public Safety in the late 1970’s.